Strawberries are a favorite fruit in Poland and the number of recipes for strawberry dishes could stretch from Belarus to Germany or from the Baltic Sea to Slovakia - many times over. Here in central Virginia, where we now live, the first crops of strawberries are just being picked. We visited a near-by farm yesterday and got their first harvest, picked just hours before we arrived. In fact we got these berries before the local farmers market had any, so we really lucked out. On the way home Laura asked if I had any requests for the berries and I chose her strawberry pie in a nano-second because it is absolutely to die for and super-easy to make. 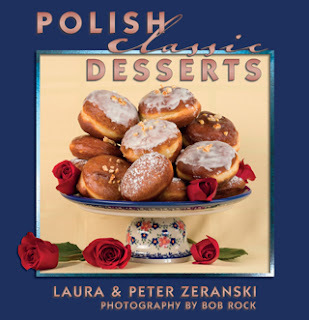 Truth be told the recipe below is not a heritage Polish recipe but it is Laura’s heritage recipe which she has tweaked and perfected over time. As soon as we got home, we wanted to taste-test the farm-berries against some berries we had bought at the grocery store just the day before. These were imported from California, and while they looked picture-perfect on the outside, that’s where the similarities ended. Both samples were cut in half – the imported berries were quite pale in the center and the farmer’s berries were deep red throughout. We bit into each and rolled the fruit around our taste-buds, just like a fine wine. The “shipped-in” berries were rather bland and did not have that intense strawberry flavor simply because they were picked before their time. But the farmer’s berries on the other hand, were juicy and had that bright sweet flavor that let us know they were still on their stems just earlier that morning. There’s an obvious moral to this story…if you have access to a berry farm or a farmers’ market, it’s well worth the extra pennies to buy berries that are totally satisfying. Wash the strawberries and remove the hulls. Mash enough of the strawberries to make one cup. Put the mash with one cup water in a 1-quart or larger glass measuring cup. Add sugar ¼ cup at a time, mix and taste until you achieve the desired sweetness. Microwave the strawberry mixture on high for 4 to 6 minutes or until the mixture is boiling. Watch carefully so the mixture does not boil over. 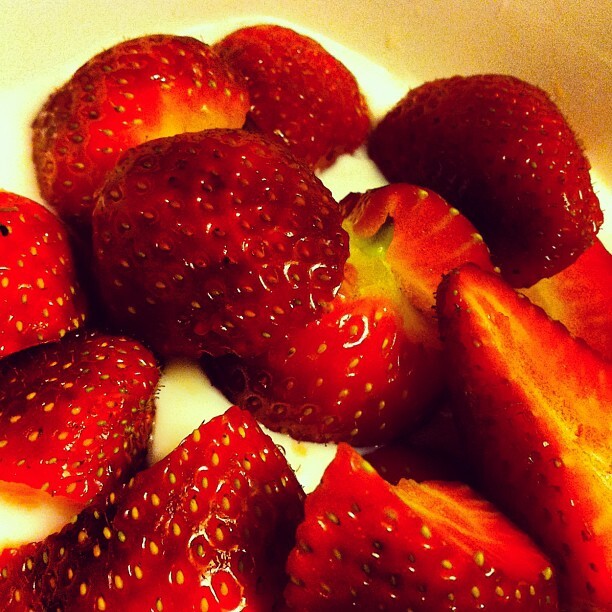 Soften the corn starch in a couple of tablespoons of water and whisk quickly into the strawberry mixture. Microwave the mixture another 2 to 3 minutes on high or until mixture thickens. Stir in the butter. Let the mixture cool completely. Cooling may take 30 minutes or longer. 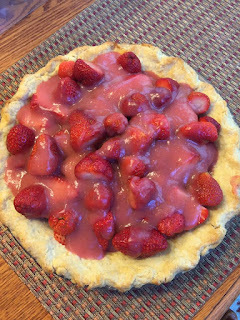 Arrange the remaining strawberries, either whole or sliced, in the baked and cooled pie crust. Pour the cooled strawberry glaze mixture evenly over the top of the berries. Refrigerate until set, about 3 hours, before serving. Garnish with whipped cream, if desired.